Coastal resilience utilizes green infrastructure to create layers of sustainable, coastal protection during climate change pulse events. 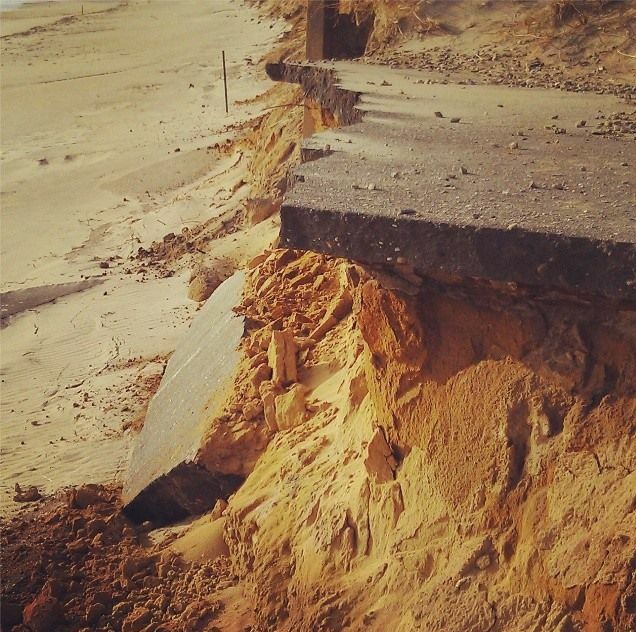 Resiliency is the ability of our coastline to absorb and manage energy. In coastal habitats lacking native vegetation, the land mass itself must absorb storm energy. Image by Rachel Pachter. 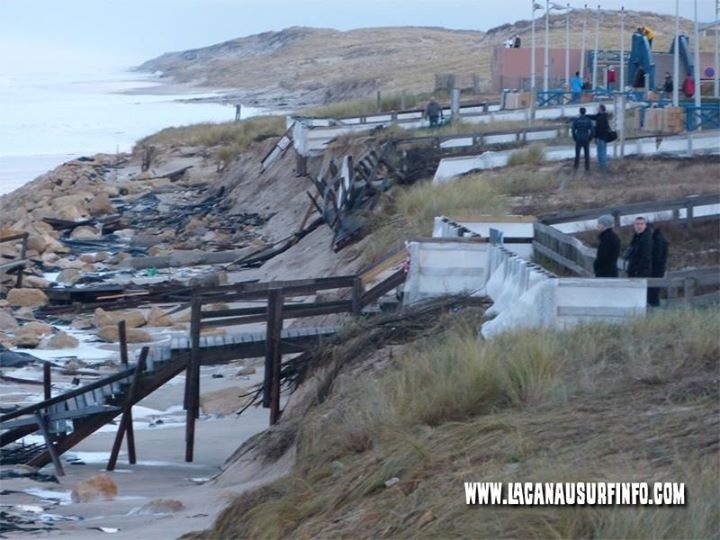 Municipal management plans should redirect intensifying use of coastal resources away from high erosion zones. The coastal process will ultimately define successful coastal management strategies. Understanding and working with these energies can help sustain our way of life without disrupting the natural environment. Using basic resiliency management strategies contributes to ecological, financial and social benefits. Not using resiliency management, may contribute to social, financial and ecological impacts. Image by G. Peabody. 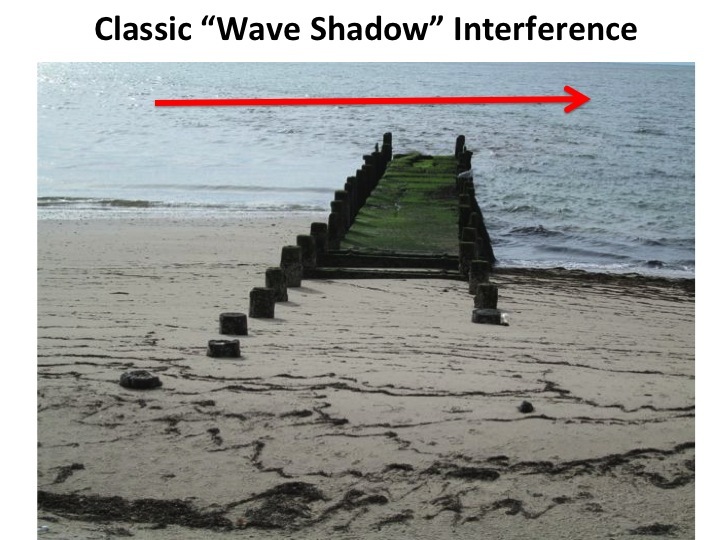 Perpendicular obstructions may provide synoptic effectiveness but interfere with the coastal process. 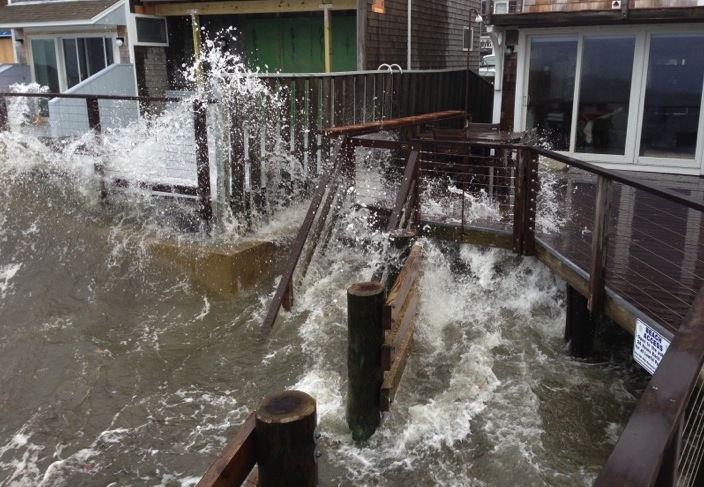 Unsuccessful linkage to scale impacts municipal, coastal management goals. 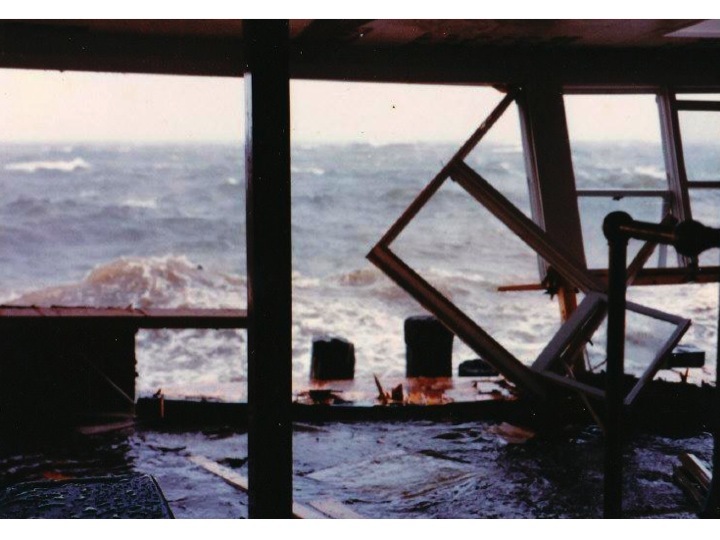 Resiliency Strategies avoid obstructions (shown above) and focus on natural systems of the coastal process. Removal of these systems should be addressed in Municipal, Coastal Resiliency Plans. European coastal management strategies have moved away from resiliency and tend to bunch together various hard and soft systems, as shown above. Image by Trevor Pontbriand. Municipalities may feel that structure protects social values. While this may have an element of truth to it, the consequences were never considered. Subsequently, wave energy is merely redirected, scouring the sea wall base with a net loss of beach sediment. Image by A. Martinez. 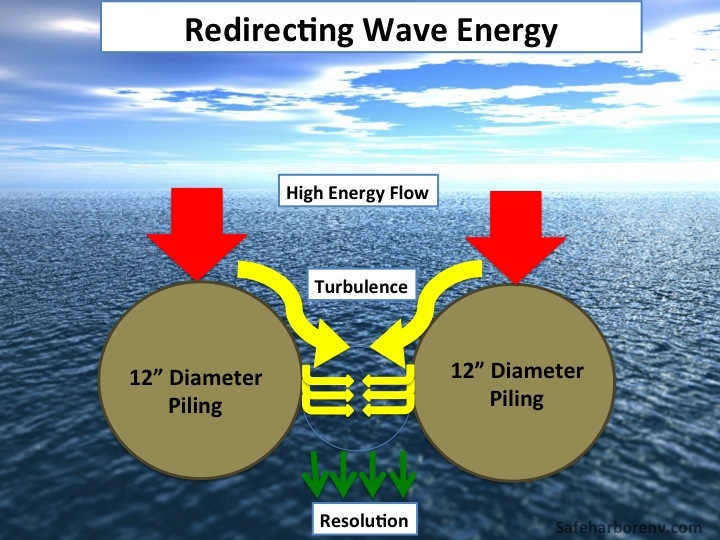 Existing liabilities can reduce exposure by using resilient, wave energy management strategies for improved protection. Image by Nadia Bricault, Safe Harbor. We have been experimenting with spaced piling systems, which may resolve wave energy by dividing and redirecting the wave form. This produces no erosion or deposition. Image by G. Peabody. 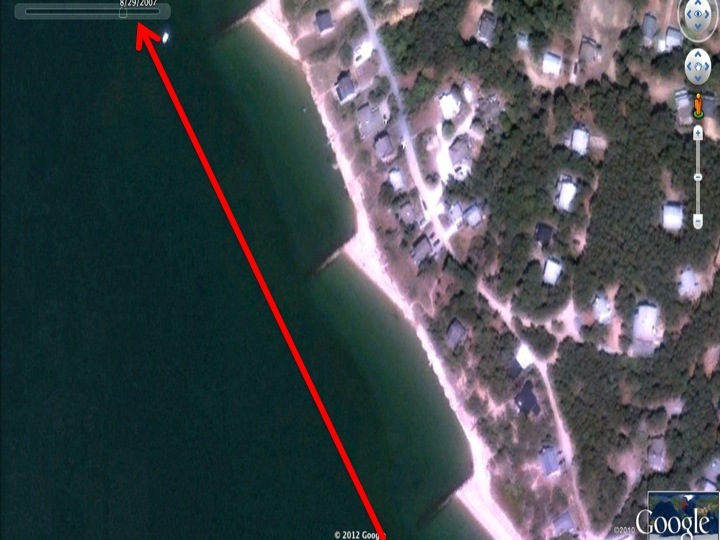 Where the spaced piling system has been installed, 12 years of storms have not impacted the shorefront building. Image by G. Peabody. 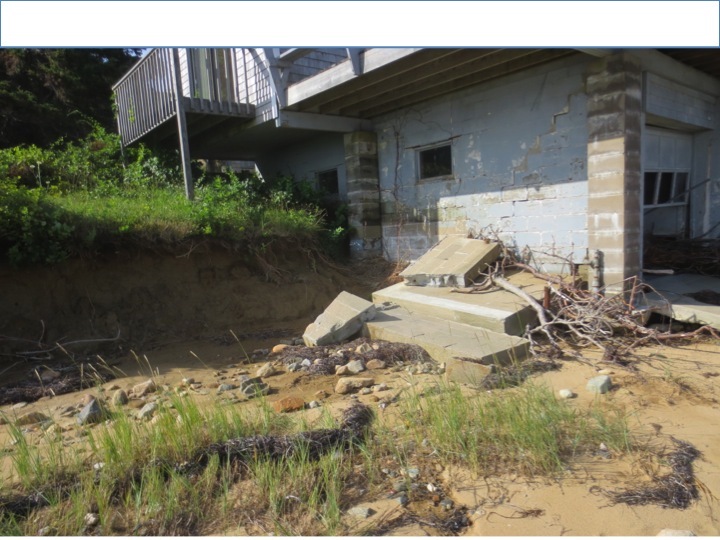 The loss of barrier beach protection on Cape Cod has exposed some previously inshore structures to Sudden Sea Level Rise, with unprecedented levels of erosion from surge waves. Image by G. Peabody. SSL has provided the opportunity to experiment with resiliency alternatives for managing wave energy with our redirecting hydromass. Image by G. Peabody. Experimentally spaced beach stones are not accurately depicted here but create gradual. benthic friction, which successfully reduced energy from incoming waves. Image by Nadia Bricault, Safe Harbor. We explore managing natural energy to create more resiliency in existing systems.